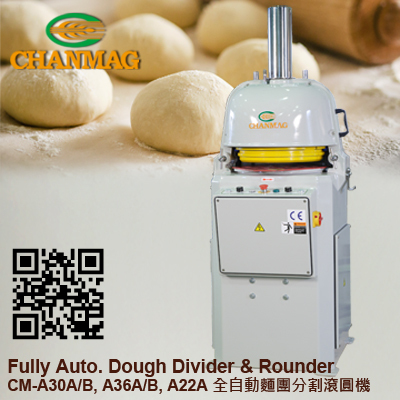 เครื่องแบ่งแป้งปั้นกลมแบบกึ่งอัตโนมัติ CM-A30A, A30B, A36A, A36B, A22A Fully-Automatic Dough Divider & Rounder is designed to divide dough and round automatically and equally. 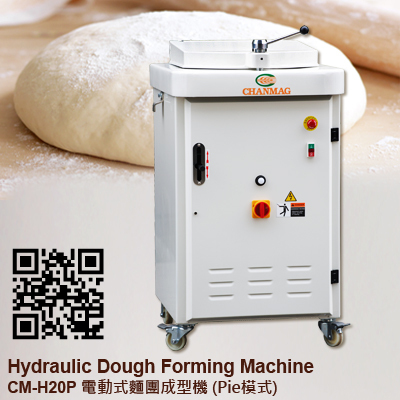 Simply insert your rounding plate with dough into the machine. 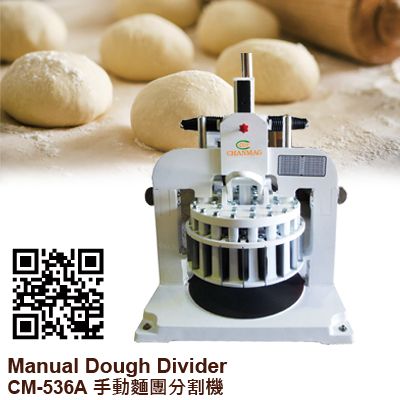 It can help you to save time and it’s easy to operate. 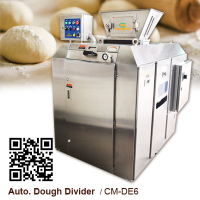 This allows you to create different types of rolls with varying weight ranges and sizes in the same machine as well as facilitate easier cleaning and maintenance. 1. Use Hydraulic system to control operation by program. 2. Rounding pressure and rounding time can be adjusted. 3. 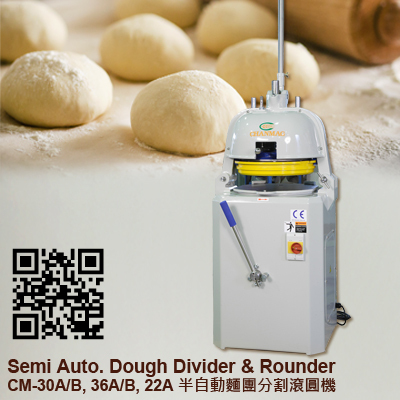 Increased rounding radius for better rounding quality. 4. Larger base will help you to operate with more stability. 5. 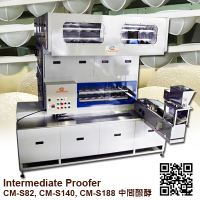 Rounding tray is made of material with static electricity treatment. 6. 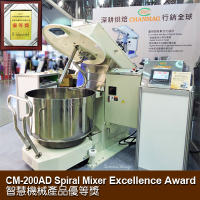 This machine is required to start running by 2 hands at the same time in order to protect users from cutting by machine. 7. 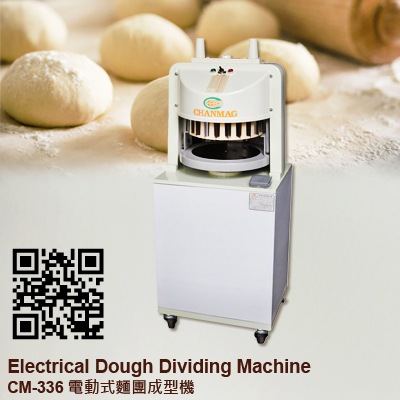 We have 5 different types of machines with its capacity in 22pcs, 30pcs and 36pcs per tray.